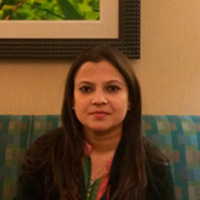 Dr. Tahmina Ferdousy has been working in Bangladesh Friendship Education Society (BFES) since 2008 for Community based Cancer Care eHealth Program as Medical and Research Program Manager. She worked for numbers of Cancer Researches using mobile phones with international collaboration and has got published research papers of those as well. She is acting as Co- Director of ‘Amader Gram Breast Care Center’, an eHealth program of BFES where she is responsible to maintain patient data through Electronic Medical Record (EMR), to conduct Telemedicine Video Conference with USA and Canada doctors for Breast Cancer patient consultation. She is advising or prescribing online treatment to remote patient through video conference. She has developed online Bangla content for Breast Cancer (www.agbreastcare.org/banglainfo). She is being giving online consultation through email for patient with breast problems. Currently she is engaged for coordinating mHealth Care service through software for monitoring and treatment of palliative patients.